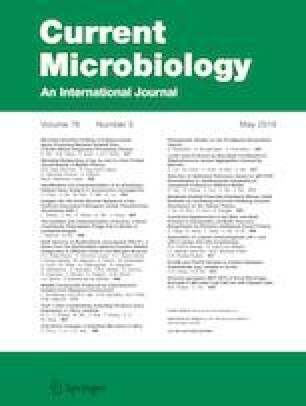 Despite the broad assessment of sponge bacterial diversity through cultivation-independent and dependent strategies, the knowledge focusing on cultivable anaerobes from this holobiont is still incipient. Plakina is a genus with the highest number of described species from the smallest of poriferan classes, Homoscleromorpha. The Brazilian Atlantic coast has been presenting itself as a hotspot for the discovery of new plakinidae species, with initial surveys just now concerning to characterize their microbiome. The current study aimed to isolate and identify strict anaerobes from recently described species of Plakina collected at the coast of Cabo Frio, RJ. Samples of four sympatric morphotypes of Plakina cyanorosea and Plakina cabofriense were collected on the coast of Cabo Frio, RJ. Using five different culture media, a total of 93 bacterial isolates were recovered, among which 60 were strict anaerobes and, ultimately, 34 remaining viable. A total of 76.5% from these strains were mostly identified as Clostridium bifermentans by mass spectrometry and 82.4% identified by 16S rRNA sequencing, almost all of them affiliated to the genus Paraclostridium, and with one isolate identified as Clostridium butyricum by both techniques. None of the anaerobic bacteria exhibited antimicrobial activity by the adopted screening test. The present work highlights not only the need for cultivation and characterization of the anaerobic microbiota from marine sponges but also adds the existing scarce knowledge of culturable bacterial communities from Homoscleromorph sponges from Brazilian coast. Bruno Francesco Rodrigues de Oliveira and Mellissa D'Avila Cavalcanti have contributed equally to this work. The research for this present work was financially supported by Fundação de Amparo à Pesquisa do Estado do Rio de Janeiro (FAPERJ, Grant Numbers E-26/102.970/2012 and E-26/203.320/2017), Coordenação de Aperfeiçoamento de Pessoal de Nível Superior Programa de Excelência Acadêmica (CAPES ProEx Grant Number 23038.002486/2018-26) and Conselho Nacional de Desenvolvimento Científico e Tecnológico (CNPq, Grant Numbers 448625/2014-8 and 304477/2015-0). MDC was recipient of undergraduate scholarship from CNPq [PIBIC-UFRJ] and BFRO is recipient of doctoral scholarship from CNPq [Grant 140840/2018-4]. GM thanks CAPES, CNPq and FAPERJ for grants and fellowships. This study was financed in part by the Coordenação de Aperfeiçoamento de Pessoal de Nível Superior—Brasil (CAPES)—Finance Code 001.